The Cannabis Act officially achieved Royal Assent and with the impending legalization on October 17, 2018 comes great responsibility on the part of employers and their employees alike. The situation becomes even more complicated due to the increasing amount of laws and regulations that either directly or indirectly connect between a workplace and the use of cannabis—the Smoke Free Ontario Act, Criminal Code, Occupational Health and Safety Act, and Ontario Human Rights Code, just to mention a few. These cannabis-related and affected laws will cover a broad spectrum of categories including preventing youth from accessing marijuana, setting legal age limits, regulating marijuana use in the workplace, and other restrictions. How Do the Canadian Cannabis Laws and Regulations Affect Your Workplace? If you’re wondering what this entails for business owners, you’re not alone. It basically means that individual, medium-sized, and large corporations will be responsible for setting specific company-based regulations on marijuana use at the workplace. While unlawful workplace impairment will always remain strongly prohibited, many questions, in particular those related to a medical marijuana and the definition of a workplace, remain unclear and extremely confusing to many employers and business owners. The situation gets even more complicated due to the fact that in many situations employers and business owners might become personally liable for the consequences of the cannabis use by their employers. For instance, Ontario Human Rights Code imposes extensive responsibilities on employers if an employee is able to present some form of proof that they’re using the marijuana strictly for medical purposes, in which case employers automatically owe a duty to accommodate and to prevent discrimination at the workplace. How these contradicting provisions will be balanced and coexist is still unclear. Nonetheless, it is the responsibility of each employer to establish a proper and legally justifiable compliance regime at their workplace. For example, as of yet, it’s unclear whether this entails providing coverage for medical marijuana under employees’ benefits plans, but as with other types of medications, that could depend largely on the types of benefits employers are able to offer. Employers are empowered and strongly encouraged to continuously update their workplace impairment policies to include new legislations and customize these policies to suit the best interest of their companies and maintain an upstanding reputation within their industries. What Is Considered to Be a “Workplace”? This is another potentially dangerous subject that every employer must consider and address in its workplace policies. What happens on the way to and from work? What if an employee gets injured or injures an innocent third party while on their way to or from the workplace? This issue becomes particularly important for every business that involves employees driving, since in most cases the employer is responsible for the actions of such employees, including the consequences of their actions while under influence of cannabis. Every workplace strives to maintain a strong professional reputation and culture amongst its employees and clients. With that in mind, the companies must ensure that their policies and procedures and underlying values, some of which could be established for many years are reviewed and adjusted to provide a proper and reputable balance between the new legislation and the company’s long-standing reputation. It’s important for employers to closely evaluate their core company values and how these new laws work in compliance with them while also assessing the best interest of their employees on a personal level. Unfortunately, until all of the kinks are worked out with these new laws, learning how to completely and adequately address cannabis legalization rules in the workplace can feel a lot like walking a tightrope. It’s a fine line between catering to the health and medical needs of your employees who benefit from these new laws and respecting the values of those employees who are uncomfortable with this new development, all that while keeping your workplace operational, safe and accommodating. 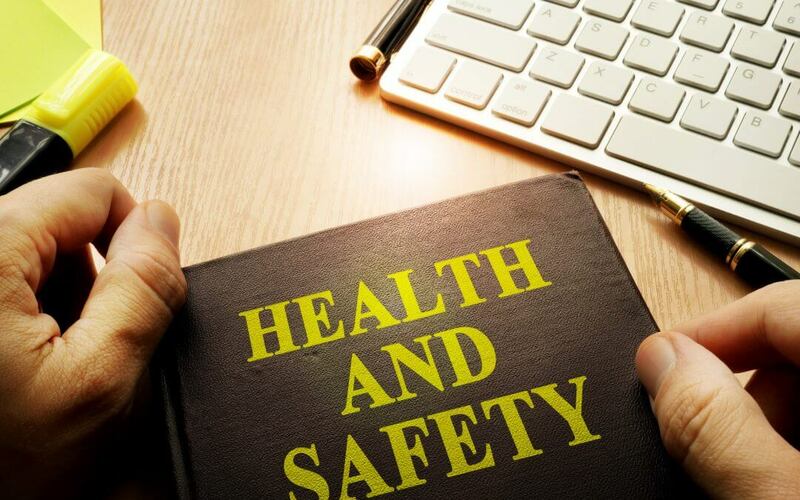 Currently, the best solution to this conundrum is to establish and constantly continue revising your workplace health, safety, and impairment policies in a way that suits your company’s values without compromising the medical needs of some of your employees. Stay open-minded about the prospect of expanding your designated smoking areas for those who also require medical marijuana, but be sure to ask for proof of a prescription and that it was obtained legally. As the nationwide legalization date for cannabis fast approaches, CBES can provide in-depth insights and advice to employers who are struggling to come up with stringent and applicable medical marijuana usage policies for their companies. Our team of professionals can help you anticipate the impact of these new laws on your business and come up with a workable plan of action that’s sure to protect your assets. Contact us today to learn more.